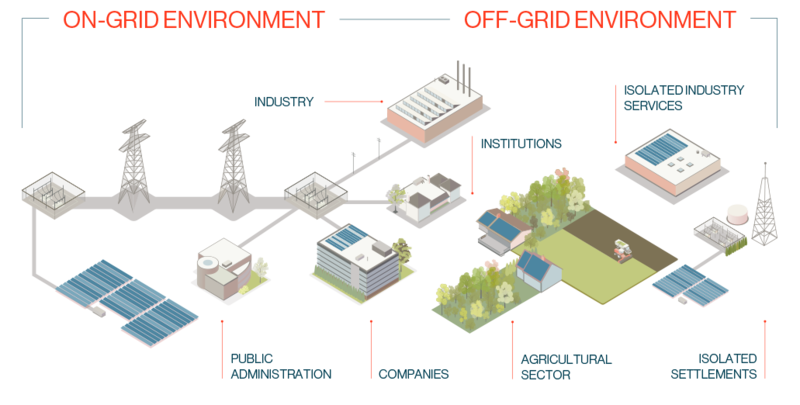 Our Solutions and Services are addressed to the medium and large electrical energy consumer, both in on-grid (grid-connected) and off-grid environments (isolated from the grid). If your contracted rate is 3.0, 3.1 or any of 6 periods, your total consumption is higher than 100MWh/year or 75MWh/year per consumption point if you are a multipoint consumer, request a Preliminary Study and Offer without commitment. Discover the Solutions we propose to have a cheaper and cleaner energy, and total control over its use. If you have no connection to the electricity grid or you are considering disconnecting and have an annual consumption of more than 50MWh/year, request a Preliminary Study and Offer without commitment. Discover the Solutions we propose to have a cheap, stable, clean and independent of the network power supply.